The photos are not arranged in order of personal preference/significance, but chronologically - as the year went by and the various trips/safaris were taken. I will relate a little bit of the story behind the shot every time, just because I like to ramble a bit and I know there are people who might be interested. As always, the photos will display at ideal resolution and sharpness if clicked on! I enjoy photographing landscapes and the fall of light on the earth very much, though I probably should try and make more time for it in 2014. It's those dang animals that get in the way of my landscape photography, eh! 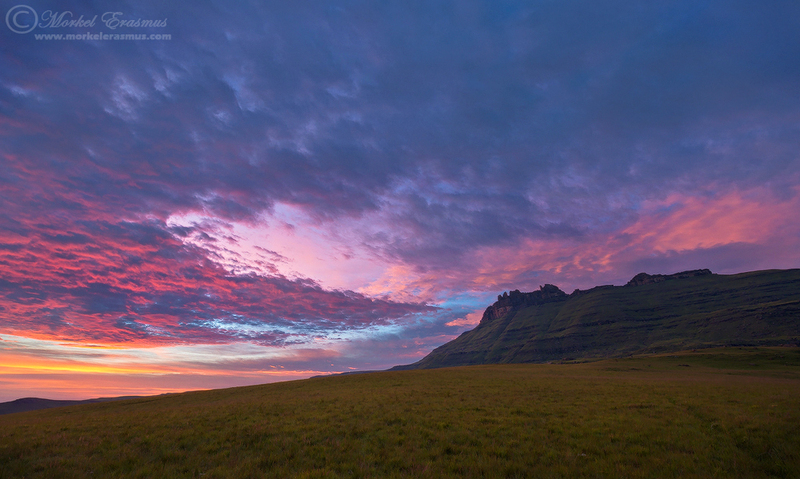 This has to count on one of my all-time most epic sunset skies ever witnessed. Unfortunately I wasn't able to capture it decently with a tripod until it had already started to fade (we were on a small boat prior to me getting out and setting up for this shot). 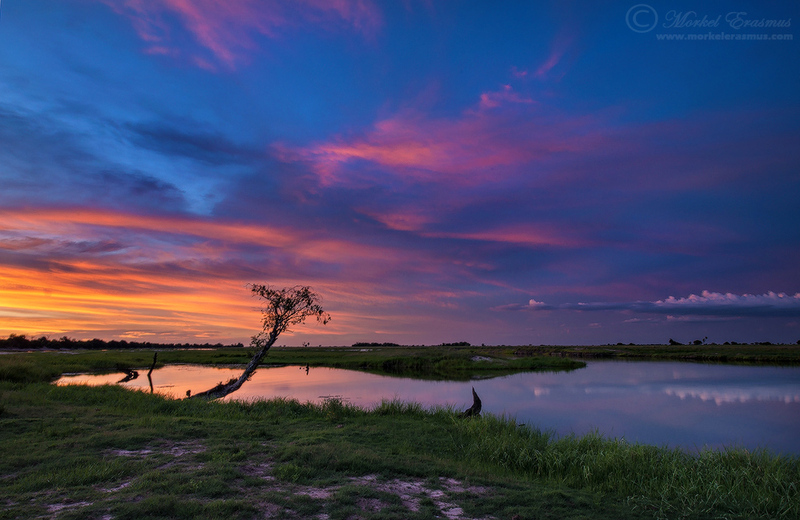 Keeping watch for stray hippos, crocs and elephants while shooting a sunset is also usually exciting! 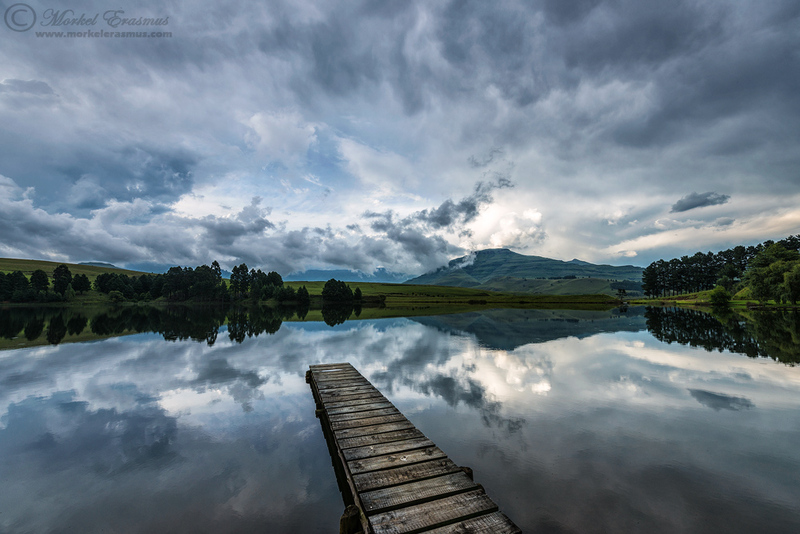 I was on holiday with my wife and kids in the southern Drakensberg region of South Africa, and this is the main lake of the Castleburn resort where we were staying. I captured this photo as a single exposure, handheld, after a storm had passed through. There's just a crispness and tranquility to this that resonates deep within my soul. This photo is from the same family holiday. Most sunrise and sunset skies during this week were overcast and colourless, but on this one morning I was glad I did get up early and trudge (I was unfit and huffing quite a bit afterwards, LOL) up the mountainside to capture these amazing skies. The various tones in the clouds here make it for me, even with the "lack" of a close foreground anchor. 4. 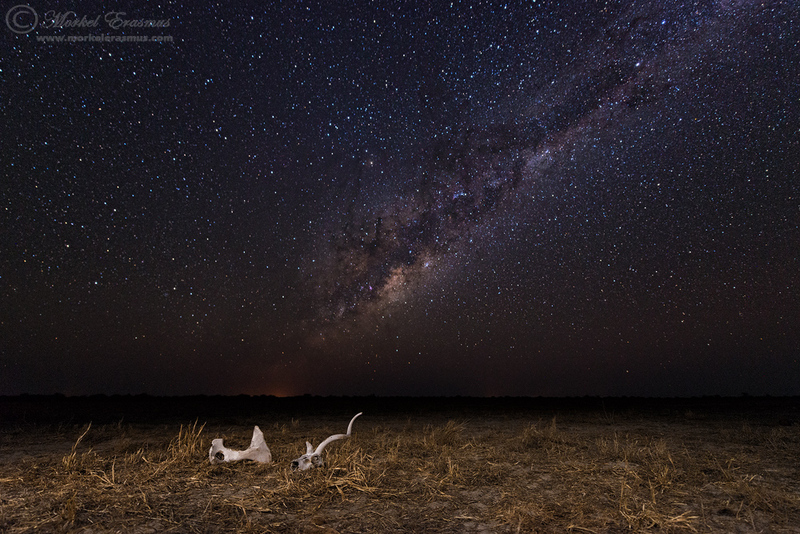 "Death under the Stars"
This photo was taken at a remote research waterhole in Etosha, Namibia. I posted a blog about this one not too long ago - you can read up on it HERE. The thrill of elephants and rhinos walking past not too far from us in the dark will always stay with me. 5. "What's lion in that tree?" This is not a landscape photo in the traditional sense. There's also no magical display of light going on here. This does, however, reflect something that's a big part of my style of shooting - showing animals in their environment. 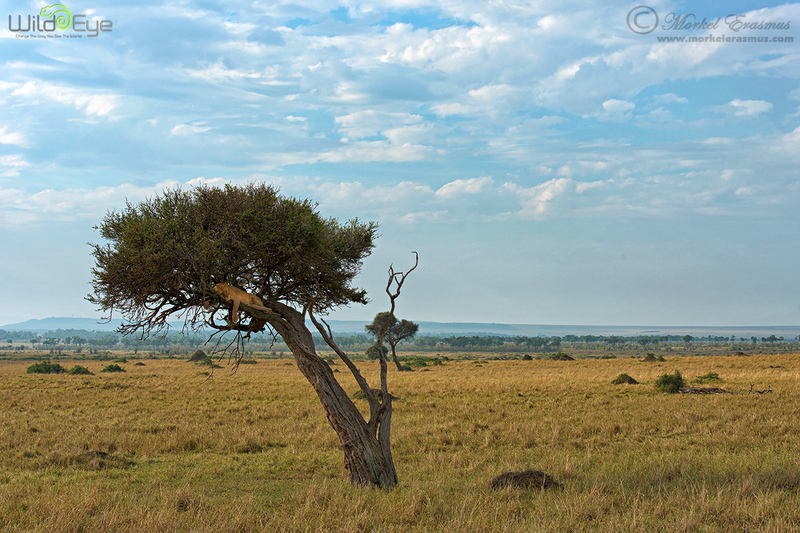 This was taken during the safari I led for +Wild Eye to the Masai Mara in Kenya. Can you spot the lion? 1. 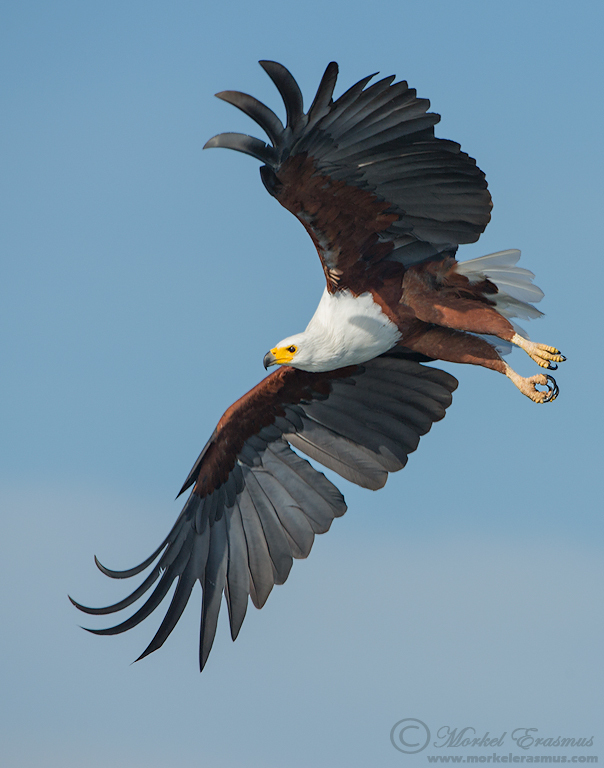 "Flight of the Fish Eagle"
This iconic bird has long been my favourite African raptor. Wait, rather, it's my favourite bird period. The only other bird I find as enthralling is its cousin, the American Bald Eagle. 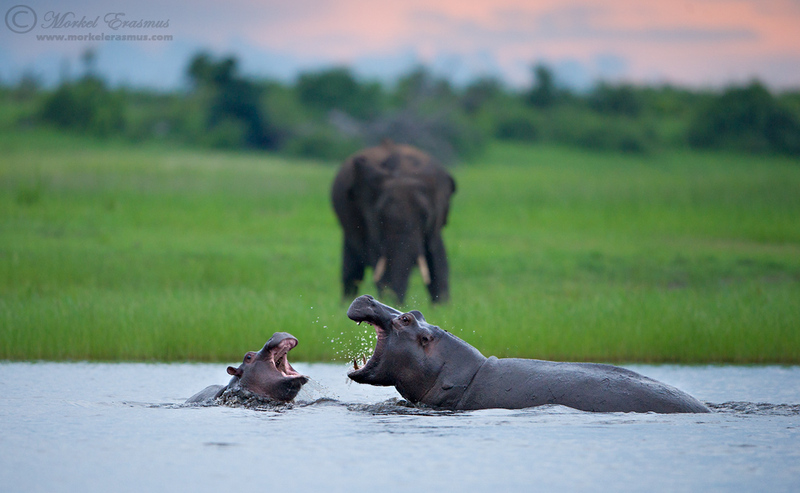 This photo was taken from the specialised Wild Eye photographic boat on the Chobe river in Botswana. There is a spot close to my home where you can get amazing opportunities to photograph the elusive Marsh Owl in the last hours of daylight in the winter months. I just couldn't get there in 2012, and made a plan to go there in 2013. 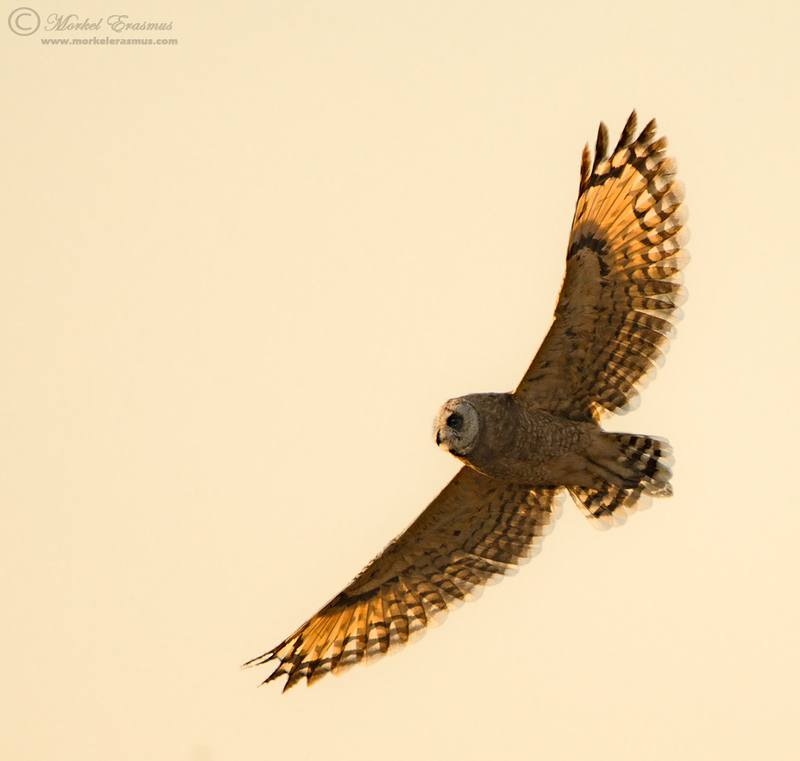 I got lucky one afternoon with this owl flying against the setting sun. 3. 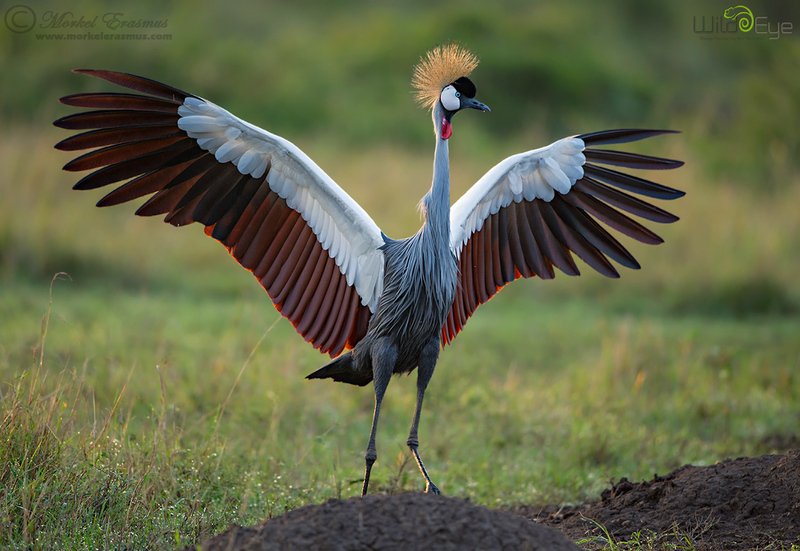 "Mahem in the Mara"
The Crowned Crane (or Mahem Crane) is a quirky but beautiful bird. 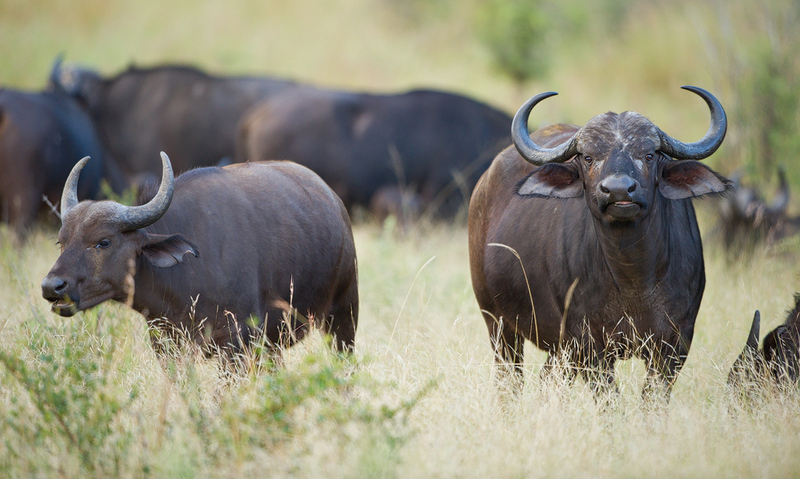 We had some great sightings of them in the Mara Triangle. You can read more about this photo in THIS blog post as well. I love how certain sightings can deliver multiple keeper photos of varying subjects. 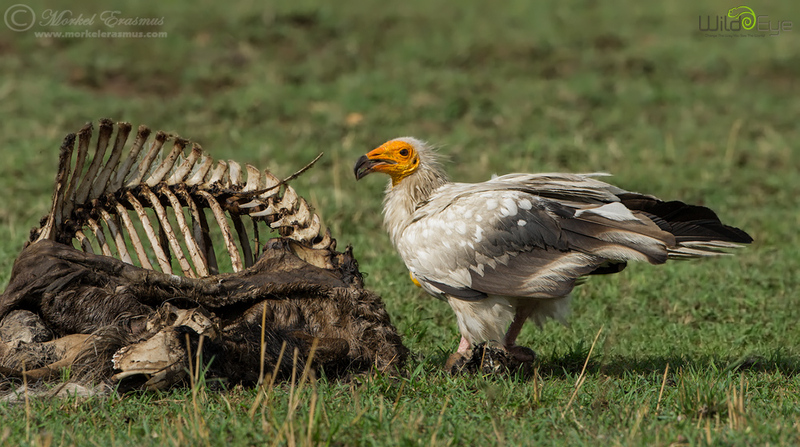 After photographing a Cheetah taking down a Thomson's Gazelle and devouring it, the ensuing squabble between the various species of vultures that inhabit the Mara-Serengeti ecosystem provided many photographic opportunities. 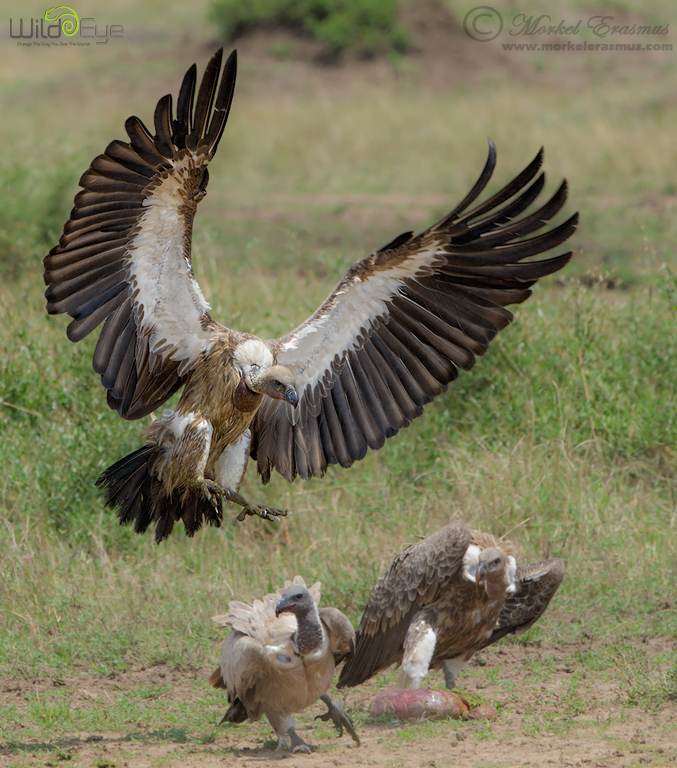 One of the most elusive species of vulture in Africa is the Egyptian Vulture. We were fortunate to spend a good deal of time with this one who was feeding on a wildebeest carcass in the Masai Mara National Reserve. This surely isn't the most spectacular avian photo I've ever taken, but the sighting is right up there and the photo(s) serve as a reminder of it. It was again a spectacular year for me in terms of great sightings and fruitful photographic opportunities. Trying to whittle them down to only 10 is a tough task. I think what is represented here is a list of favourite moments - whereas some of the sightings might have delivered many photos that could potentially "make the cut", I kept it to one photo per sighting in this list. Much of wildlife photographic success hinges on an element of "luck" - being at the right spot at the right time, but once you are there, which settings you opt for in the camera and how you compose/frame the story is what really determines your success. Preparation, knowledge of your gear, knowledge of animal behaviour/habits and luck all come together in these instances. This was nothing more than a playful hullabaloo between two juveniles, but it was interesting seeing the Elephant behind the Hippos standing as if refereeing a boxing match. Taken from the Wild Eye photographic boat as well. 2. "Chums on the Chobe"
We had many interesting moments on the Chobe river...but this one stood out for me due to the magnificence of seeing Africa's largest land mammal dwarfed by the immense skies and the broad river. 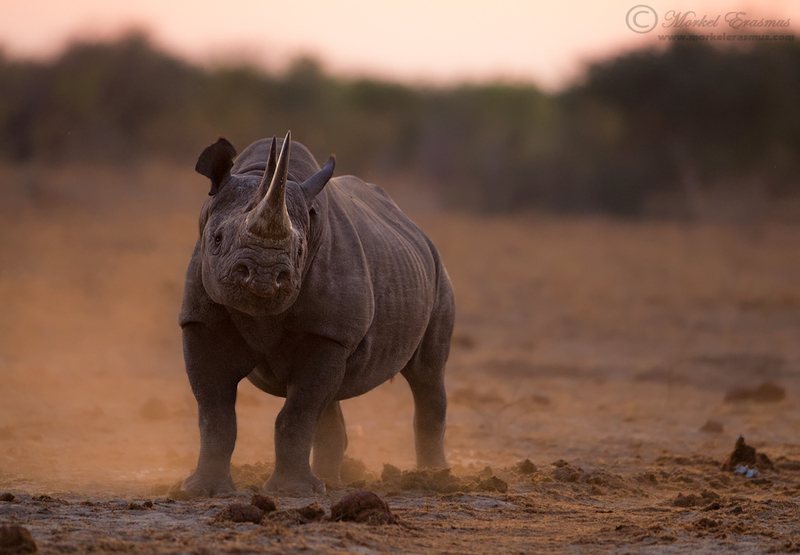 Up to the start of this year, my portfolio was severely lacking in any noteworthy photos of the enigmatic and endangered Black Rhino. I can happily say that situation has now been remedied! 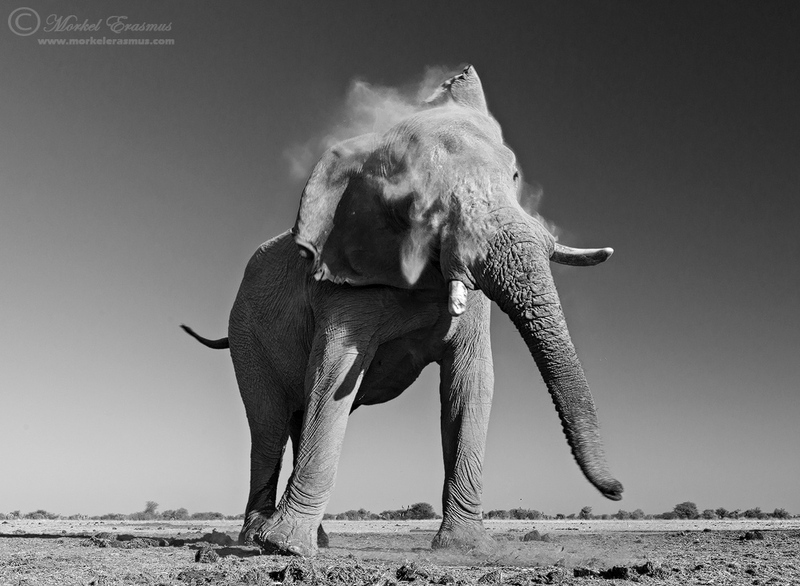 This old bull was snorting and kicking up dust as he smelled us - this image was taken after sunset in that lovely post-dusk glow of Africa. I like to get as low as possible of a shooting angle when working with wildlife. It's not always easy when you are confined to a vehicle (though there are ways to achieve it in that setting), but it's much easier when you are sitting in an underground concrete bunker next to a remote waterhole in Etosha National Park, Namibia. 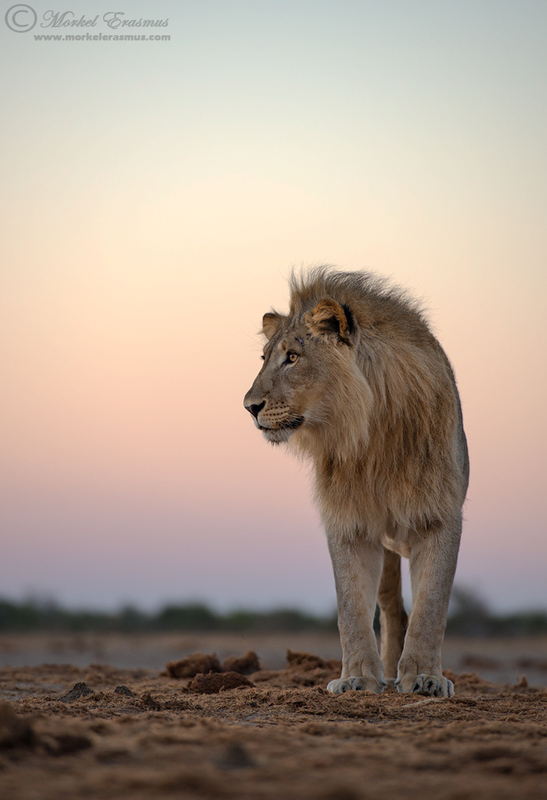 This young male lion came right up to my position. I used exposure blending techniques to get the sky looking like I remember it (the camera was set to expose for the lion and that made the sky a bit bright). Nothing quite emphasises the size of a big African Elephant like shooting at and extremely low angle at close range. This big boy was in a state of musth, causing his hormones and temper to get the better of him. The way the dust puffs from his face immediately made this a favourite. 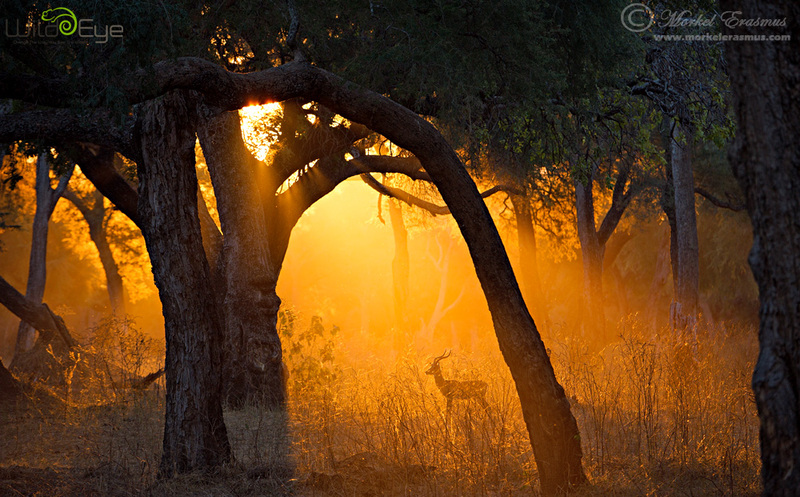 I don't think I will ever get enough of the light that filters through the forests of Mana Pools in Zimbabwe. Nor will I ever get enough of the amazing beauty of said forests - where massive albida trees make even elephants look small, it's a place that has to be seen and relished. This photo was taken as the sun was setting and the light was creating shafts through the canopy. The impala just walked right into my shot (I was just busy photographing the light and scene). 7. "I bless the rains down in Africa"
Many people don't like to observe and photograph the life-and-death struggle that plays out in the African bush day by day...and I get it. 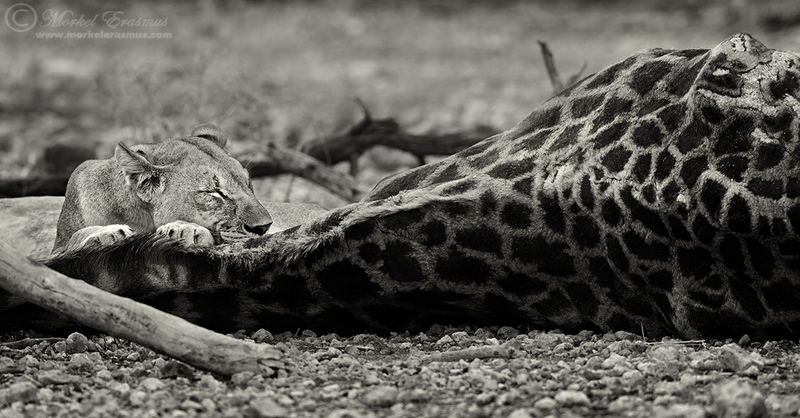 I personally don't have a penchant for seeing gory images of predators on kills - but there's something primal to the actual struggle, the tussle, the clash of survival-driven will that I find absolutely fascinating. On the one hand, the drive to obtain food and make it through another day or week, and on the other the drive to escape the impending doom and make it through another day. The expression on the face of this poor young Wildebeest says it all. We literally stopped to photograph these lions in the grass on the banks of the Mara river when their unfortunate victim scrambled up the bank after crossing the river solo. It was all too easy. 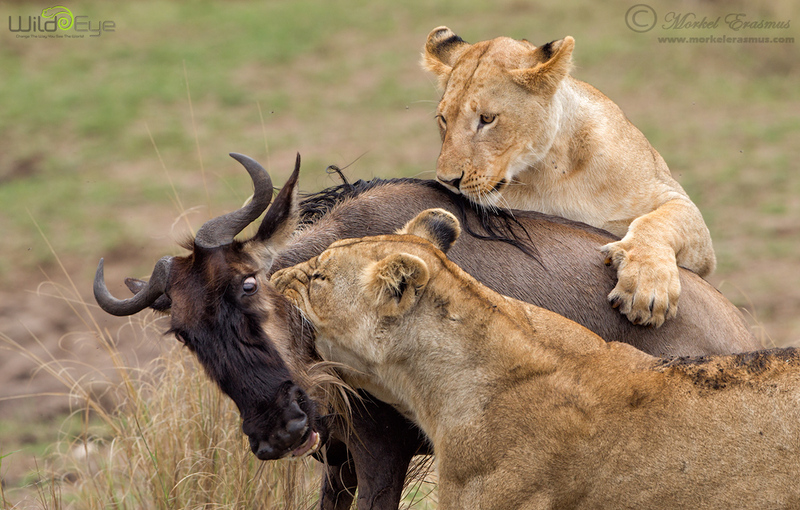 I apologise upfront - it's another image depicting the struggle between predator and prey in Africa...this one was covered on my blog previously, and you can read more about it HERE. I am obviously disappointed about the horn of the Thomson's Gazelle being clipped at the edge of my frame, but other than that I am very pleased with capturing an image of this quality at the speed at which this happened. 10. 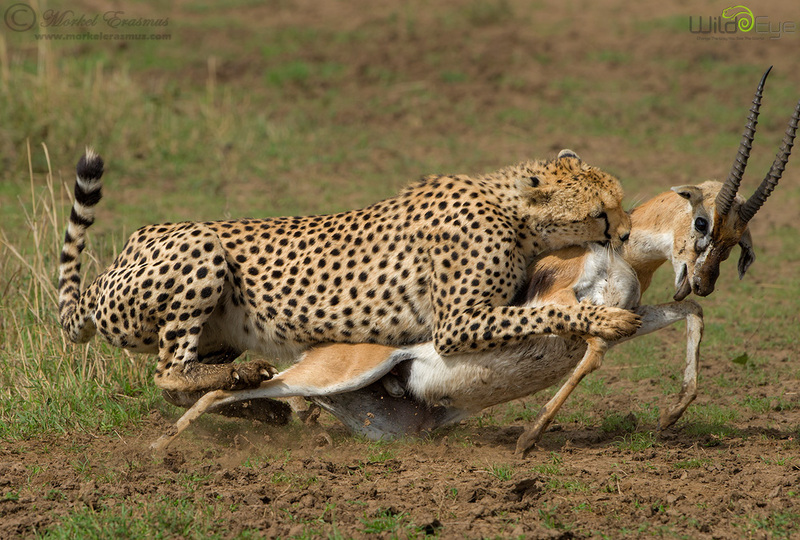 "The chase was relentless"
My last wildlife image shows another aspect of the predator-prey dynamic. On our last full day in Etosha during November 2013 I was the only person to witness lions taking down a fully grown giraffe bull right next to my vehicle. It was an amazing sighting, and surprisingly "un-gory", which made the photography much easier. I've got many action shots of the process of taking down the giraffe, but one of the frames that stood out the most to me was this one. It seemed the pride had been running down the massive ungulate for at least 3 to 4 hours during the night/early morning, as the giraffe was utterly spent by the time he turned around to face his attackers, and the lions all took a long rest before even starting to feed on their quarry once the big bull had fallen. This lioness taking a short nap on her new "pillow" really made for a unique moment in my documentation of natural history. There you go. I have many images from this year that I haven't even processed yet, and some of them may even be "better" (for what that term is worth) than the ones I opted to publish here, but you can't please everybody all the time. Some images are being kept "back" for use in competitions in 2014 - so hold thumbs for me! For those of you who are also budding nature photographers: I hope you also had a great photographic year in 2013. I hope that you grew in your craft, your understanding of nature and the role of nature photography in conservation and raising awareness, and in your appreciation of the wild places that still exist as the human encroachment spreads wider and wider every year. I hope that you will continue to grow in 2014, that you will be able to travel to some of your bucket-list destinations and that you will find even more joy in spending time in God's glorious creation. 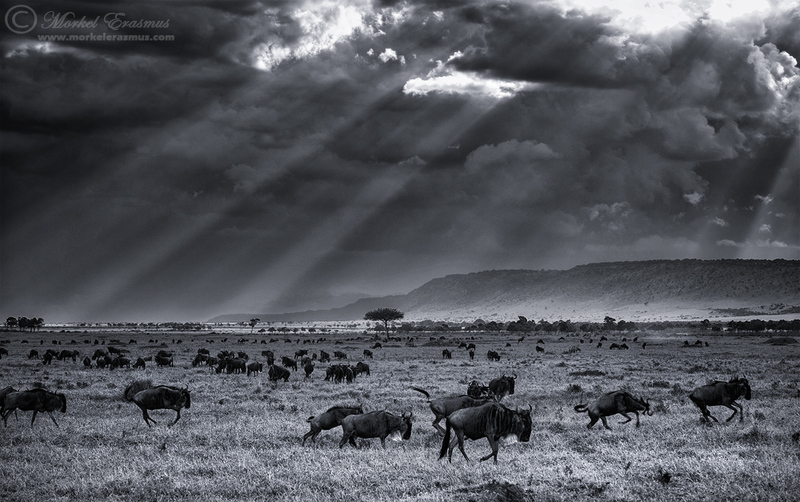 A last thought - if you would like to join me in creating images in some of these iconic locations in 2014, you can check out the safaris I host with Wild Eye HERE. Keep well, until I write again! Morkel, as always your work is a huge inspiration. Thanks! Excellent set of images as usual Morkel, You requested we leave a comment, I paged up and down a number of times to try and pick my favourites just for interest. Landscape – No 4 “Death under the Stars” is a unique image that conjures up so many thoughts as I gaze at it. Birds- No 3 “Mahem in the Mara” Love the back lighting on the extended wings coupled with the fact that I have not seen many images of this bird before. Wildlife – Wow this was difficult, eventually will settle with No 4 “Dawn Patrol” The low angle and pastel shades of the background catching the eye. Love the Black Rhino too!!! Thanks for sharing and a blessed 2014. Thanks for your thoughtful feedback, Derek! All great images !!! I am sure your "lesser" images are not far off the mark of these. Love these posts of yours mate. 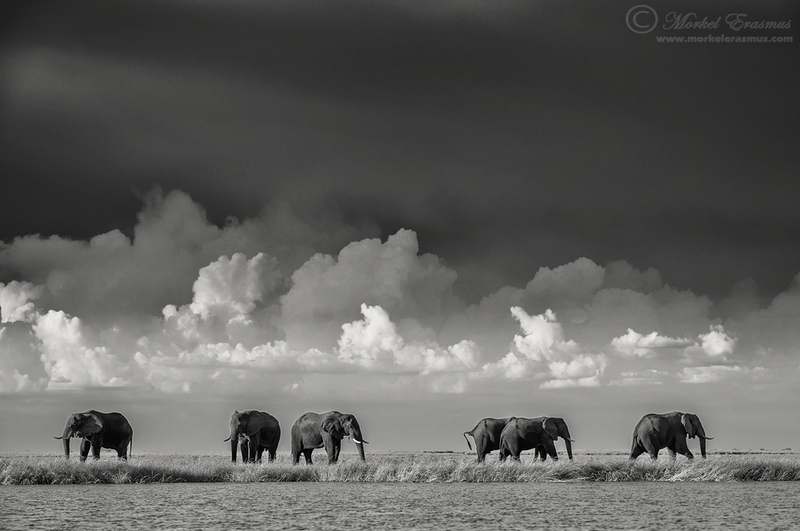 Sitting here with a NYE hangover, they ease the pain and allow me to dream of Africa. Keep the great stuff coming. Have a feeling 2014 will be even better. Beautiful collection that you can be proud off Morkel ! A good thing when you are skilled in landscape and animals as well, or a combo of that! Keep up the good work in 2014. I appreciate you dropping by, thanks for the comment Fred! Thank you for sharing your special moments! I hope 2014 brings you more amazing shots. Jy is te gaaf Joey! Ek hoop jou 2014 loop ook soos stroop. Ek wag nog om van jou Mara foto's te sien (luiperd wat uit boom klim, byvoorbeeld). Thanks a lot Mel...glad to have you following my work here as well. Great photos there is one specific photo I would love to see in color. Title: "I bless the rains down in Africa"
was the giraffe kill right next to the road? we were there 2 weeks ago and saw what remains of the giraffe! Great images good flame and nice light . Hey Ishmael, thanks for dropping by. I'm glad you are finding some inspiration in what I do...I am grateful to so many others for inspiring and continuing to inspire me - so we all keep paying it forward. Really amazing. Not just the pictures but also the effort and dedication. What can I say - Out of this World! Fantastic selection of photos through the years, well done! beautiful set of images Morkel...well done. wildlife - dawn patrol or Chobe chums , can't decide here. Your images are truely stunning. Have no words to express the beauty of them. My favourite is the Flight of the Fish Eagle. It's images like this that I one day hope to capture. Please continue to mesmerise and inspire us with you work. Thanks Cedric, appreciate the kind words.